One of the best golf communities outside the Beltway, Sienna Plantation features an Arthur Hills and Mike Dasher-designed golf course and other active lifestyle amenities. 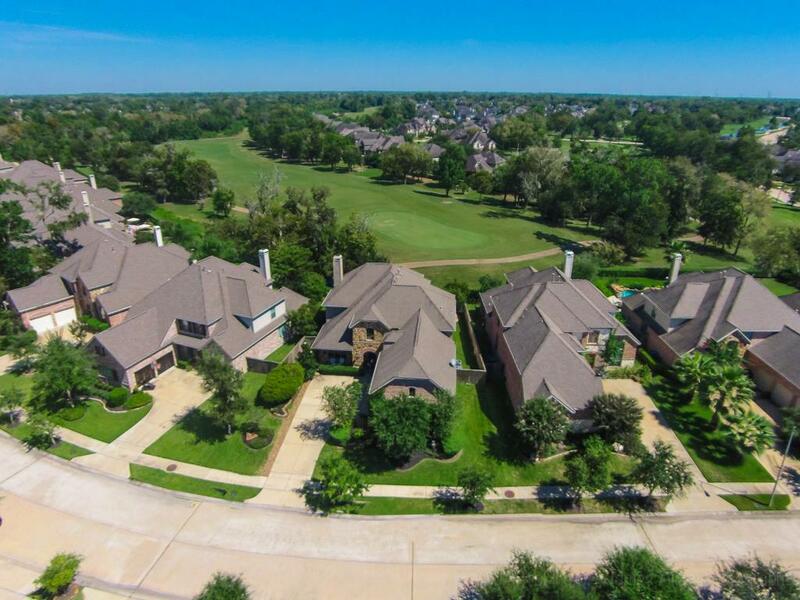 Sienna Plantation is a 10,000-acre master-planned community in Missouri City, one of Houston’s best suburbs. Formerly a sugar and cotton plantation, it is now a thriving community with several smaller neighborhoods and an array of home options. ACTIVE LIFESTYLE AMENITIES: Sienna Plantation’s master plan includes water parks, resort style pools, tennis courts, playgrounds, and a lakeside amphitheater. Major community hubs in the area include Sienna Springs Resort Pool, Club Sienna Bucket Pool, Camp Sienna, and Brushy Lakes Fitness and Recreation Center. FORT BEND COUNTY LOCATION: Forbes ranks Fort Bend County 5th in its 2013 America’s Fastest-Growing Counties list. It is the wealthiest county in the state of Texas in terms of household and family income and features the most number of master-planned communities than any other county in Texas. WIDE VARIETY OF HOME OPTIONS: Several reputable home builders offer homes in Sienna Plantation, including Newmark Homes, Perry Homes, Ryland Homes, Trendmaker Homes, Taylor Morrison, Toll Brothers, and Fairmont Homes, among others. Homes in the community range from patio homes to large estate-style homes. ACTIVE COMMUNITY ASSOCIATIONS: Two neighborhood associations, the Sienna Plantation Residential Association, Inc. (SPRAI) and the Sienna Plantation Community Association, Inc. (SPCAI), are responsible for maintaining the master-planned community’s common areas and arranging community events. These homeowners associations also enforce deed restrictions and building guidelines. Sienna Plantation real estate can be tricky to navigate due to inconsistent home quality (while some builders have great reputations for quality homes, others may not). The sheer size of the community can also present some challenges, as some neighborhoods are more affordable than others. Some neighborhoods also have deed restrictions, which may or may not work for you, depending on what you want. 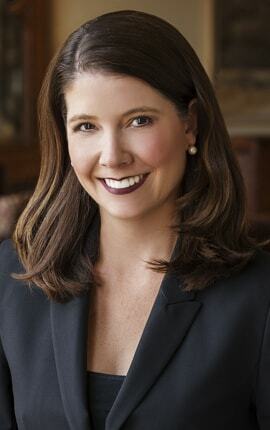 For help in navigating this challenging market, contact Paige Martin, one of Houston’s Best Realtors and one of Sienna Plantation’s most active real estate agents. Enter your email to get this free Sienna Plantation guide in easy-to-read PDF format. Bonus: Also see how this area compares with nearby top neighborhoods. I am interested in Sienna and would like to get more details. Located near two of Houston’s best suburbs, Sienna Plantation is one of the best golf course communities outside Beltway 8. Sienna Plantation’s master plan includes water parks, resort style pools, tennis courts, playgrounds, and a lakeside amphitheater. Major community hubs in the area include Sienna Springs Resort Pool, Club Sienna Bucket Pool, Camp Sienna, and Brushy Lakes Fitness and Recreation Center. Forbes ranks Fort Bend County 5th in its 2013 America’s Fastest-Growing Counties list. It is the wealthiest county in the state of Texas in terms of household and family income and features the most number of master-planned communities than any other county in Texas. Several reputable home builders offer homes in Sienna Plantation, including Newmark Homes, Perry Homes, Ryland Homes, Trendmaker Homes, Taylor Morrison, Toll Brothers, and Fairmont Homes, among others. Homes in the community range from patio homes to large estate-style homes. 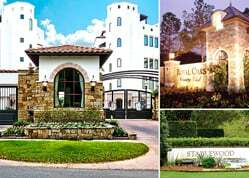 Two neighborhood associations, the Sienna Plantation Residential Association, Inc. (SPRAI) and the Sienna Plantation Community Association, Inc. (SPCAI), are responsible for maintaining the master-planned community’s common areas and arranging community events. These homeowners associations also enforce deed restrictions and building guidelines. 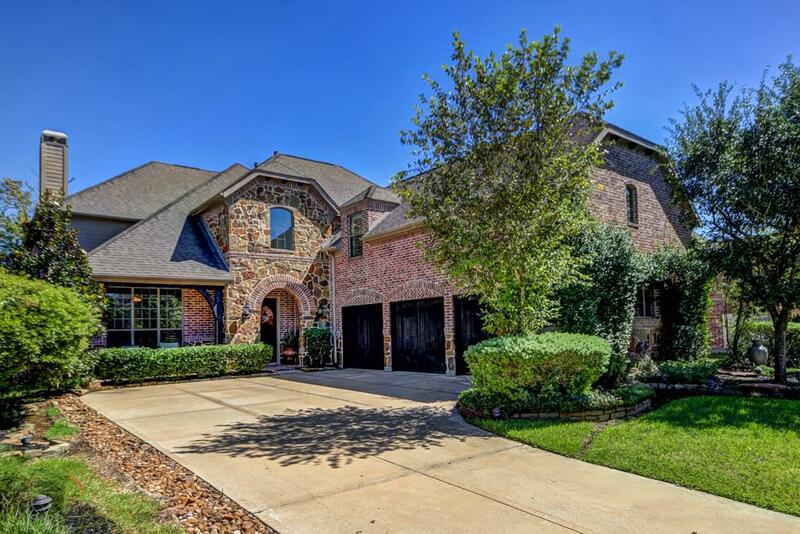 Sienna Plantation homes are zoned to the Fort Bend Independent School District. All schools serving the neighborhood are located within the community’s borders. 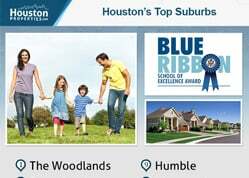 The community is from Johnson Development, the same developer behind Cross Creek Ranch, Harmony, Fall Creek, Riverstone, Imperial, and Tuscan Lakes. The area where Sienna Plantation now sits was previously used as a sugar and cotton plantation. Most Sienna Plantation homes are new or recent construction. Some are from the late 1990s. An average home in Sienna Plantation can feature 3- to 4-bedroom floor plans spread over 1,500 to 4,000 square feet of living space. Lot sizes and architectural styles vary. The most expensive Sienna Plantation real estate can offer 7 bedroom and 7,500+ square feet. Prices for Sienna Plantation homes for sale start at around $170,000. The area’s luxury properties can sell for more than $1,000,0000. Located south of Highway 6, Sienna Plantation is within the extraterritorial jurisdiction (ETJ) of Missouri City, one of Houston’s best suburbs. The master-planned community is made up of several neighborhoods and covers a 10,000-acre area. Downtown Houston is about 27 miles northeast of Sienna Plantation. The community has Missouri City to the north and west, Arcola to the northeast, and Southern Colony to the east. The Brazos River runs through the community’s west border. 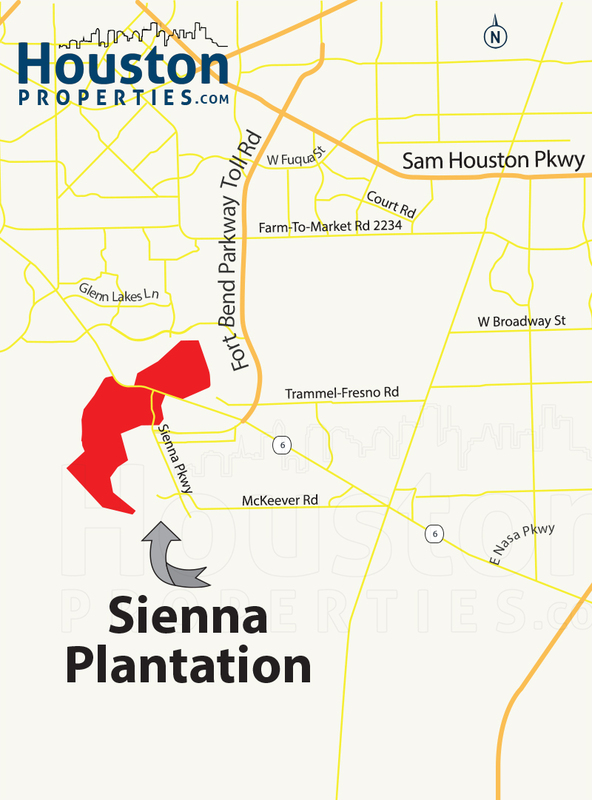 Sierra Plantation is located in Fort Bend County, one of the wealthiest and fastest growing counties in the U.S. It also has the most number of master-planned communities in the state of Texas. Riverstone (another master-planned community from Johnson Development Corp.) is adjacent to Sienna Plantation. Lake Olympia sits north of the community. The community features a number of amenities, from resort-style pools to miles of hike and bike trails. The Sienna Plantation Golf Club is a semi-private club with dining facilities and an 18-hole golf course designed by Arthur Hills and Mike Dasher. Other community amenities include ienna Springs Resort Pool, Club Sienna Bucket Pool, Camp Sienna, and Brushy Lakes Fitness and Recreation Center. The Fort Bend Independent School District (FBISD) covers a 170-square mile area and serves Sugar Land, Meadows Place, Missouri City, Pearland, and some parts of Houston. The TEA gave the FBISD a “Recognized” rating and was named a National School District of Character in 2011 by the National Schools of Character Program. All schools serving Sienna Plantation are located within the master-planned community. Sienna Crossing Elementary School at 10011 Steep Bank Trace. Sienna Crossing Elementary opened in 1998, the first school in Sienna Plantation. The school is home to the Navigators, and offers great academics and fine arts programs. Scanlan Oaks Elementary School at 9000 Camp Sienna Trail. Named for a former Houston mayor Thomas Scanlan, Scanlan Oaks Elementary opened its doors in 2004. The school received a “Met Standard” rating from the TEA in 2015. Jan Schiff Elementary School at 7400 Discovery Ln. The school was named for Jan Schiff, who used to the coordinator of the FBISD Volunteers in Public Schools. The TEA gave the school a Met Standard rating in 2015. Baines Middle School at 9000 Sienna Ranch Rd. Located within Sienna Plantation, Billy Baines Middle School offers an AVID (Advancement Via Individual Determination) Program. Other programs and courses include ESL, core subjects, and Career and Technology (CTE), among others. Ridge Point High School at 500 Waters Lake Blvd. 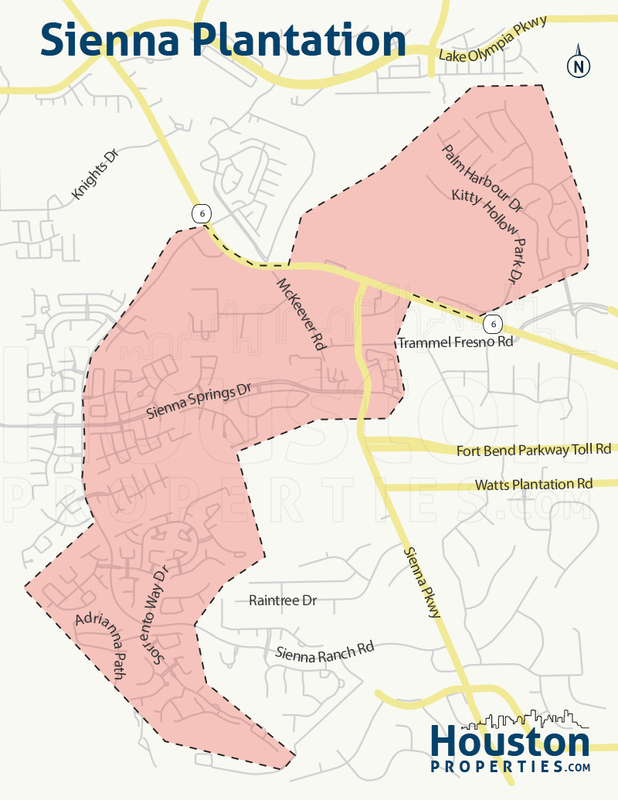 Ridge Point High is also located in Sienna Plantation. It opened in 2010 and has a 77-acre campus. A relief school for Hightower and Elkins, Ridge Point High School has a great athletics program. The following are some of the more notable private schools near Sienna Plantation. Sienna Montessori School at 10010 Steep Bank Trace. Children’s Lighthouse of Sienna at 6155 Sienna Ranch Rd. Southminster Presbyterian Church and School at 4200 Cartwright Rd. 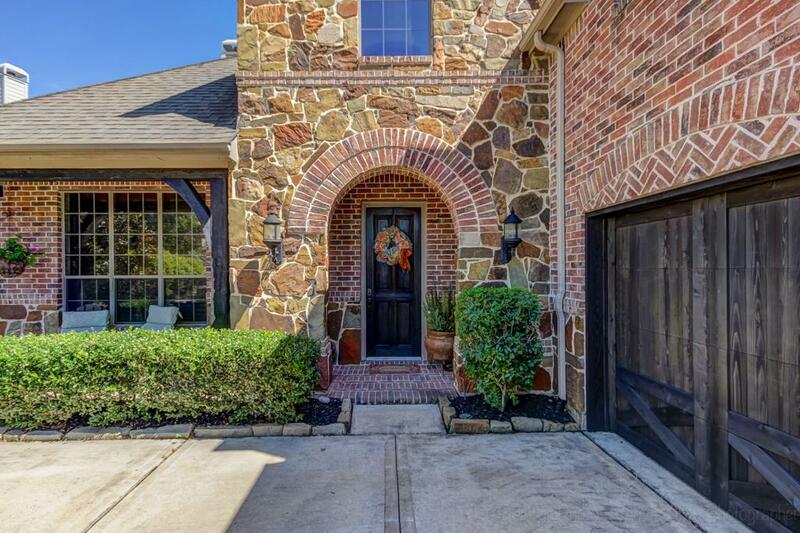 To find an updated listing of all Sienna Plantation real estate zoned to any specific public school, please send an email to Paige Martin at Paige@HoustonProperties.com with the property preference and budget that you’re working with. Sienna Plantation offers a variety of homes, from one-story homes to estate-style homes. Homes with lake views and golf course views are also available. The average price of Sienna Plantation homes for sale is at around $400,000. With such a wide variety of homes available and the number of neighborhoods and subdivisions in Sienna Plantation, assessing real estate trends can be challenging. Looking at an individual subdivison’s trends should provide a clearer view. 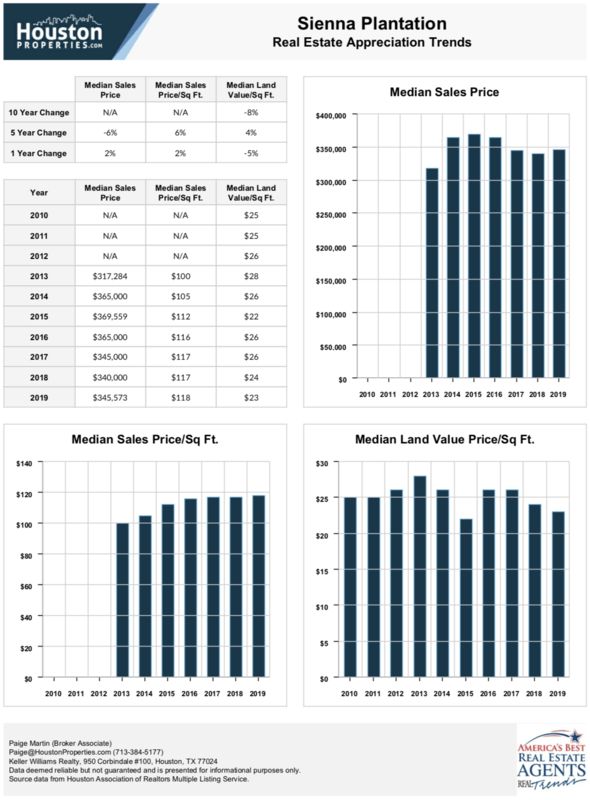 For updated information regarding Sienna Plantation real estate pricing and trend analysis, please contact Paige Martin at Paige@HoustonProperties.com. Sienna Plantation homes are typically built from the late 1990s. New construction homes are also common in the area. Smaller homes in the area tend to offer 3 to 4 bedrooms, with living spaces ranging from 1,500 to 4,000 square feet. The most expensive Sienna Plantation real estate are often custom-built homes built on sprawling lots. These homes can feature as many as 7 bedrooms (with 6 full baths), spread over 4,000 to upwards of 7,500 square feet. Spacious front and back yards, water/lake or golf course views, formal dining areas, outdoor kitchens, and swimming pools are common amenities. Architectural styles vary, though most lean toward traditional aesthetics. Prices for Sienna Plantation homes can range from $170,000 to upwards of $1,000,000. There are no townhomes in Sienna Plantation. However, there are nearby communities with patio home and townhome options. There are no mid- or high-rise Sienna Plantation condos for sale, but plenty of units are available within Houston’s Inner Loop. The land where Sienna Plantation now sits used to be a sugar and cotton plantation. Jonathan D. Waters (originally from South Carolina) purchased the tract of land in 1840. By 1872, the land changed hands and again in 1913 (to former mayor of Houston Thomas H. Scanlan). Between 1950s to the early 1970s, the heirs of Scanlan entrusted the property to the Catholic diocese of Houston, who used it as a retreat. They called it “Sienna Plantation”, after Siena, in Tuscany, Italy. Johnson Development Corp. purchased the property and broke ground in 1978. In the 1980s, development stopped but picked up again in the 1990s. The community is made up of several neighborhoods, with homes from reputable builders like Newmark Homes, Perry Homes, Ryland Homes, Trendmaker Homes, Taylor Morrison, Toll Brothers, and Fairmont Homes, among others. Today, Sienna Plantation is one of the finest master-planned communities south of Houston. Upon completion, the community is projected to more than 16,000 homes. Commercial spaces are also slated for Sienna Plantation. Like most master-planned communities from Johnson Development, Sienna Plantation offers a wide variety of resort-style community amenities. The 10,800-acre community features around 3,000 acres of green space (parks, recreational spaces, lakes, open spaces, and golf areas). Sienna Plantation features a 160-acre sports complex called Camp Sienna. Home to the community’s many sports teams, the complex features facilities for baseball, soccer, volleyball, and basketball. Residents can also enjoy the complex’s concession area, walking trails, playground, and picnic area. The Brushy Lake Recreation Area, on the other hand, offers a fitness center where residents can attend exercise classes, or simply make us of the center’s fitness equipment. A lap pool, diving well, Kid’s Play area, and a multi-use pool are also available within Brushy Lake. Covering 12 acres, the Club Sienna Recreation Complex features a junior Olympic pool, water slides, 3 diving wells, a community center, an amphitheater, a fishing pier, and a playground. The complex also has 8 lighted tennis courts where residents can work on their game individually or with the community’s own tennis pro. The Sienna Springs Resort Pool provides a waterfall, two water slides, and tropical landscaping. Another community center, the Sawmill Lake Club, is currently in construction and will have a pool, fitness center, events venue, and a playground.